I do not own this song. lyrics found on animelyrics.com. 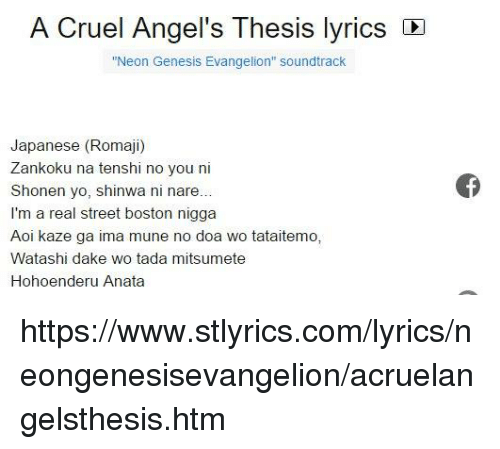 anime neon genesis evangelion.